​I took the Leap of Faith. Author Faith Underwood is an educator, self-awareness coach, and doggy mother from Georgia. She is a freelance writer/blogger whose work can be seen on BlueZoneBlog.net. She can also be found on BlackGirlNerds.com as a guest blogger. 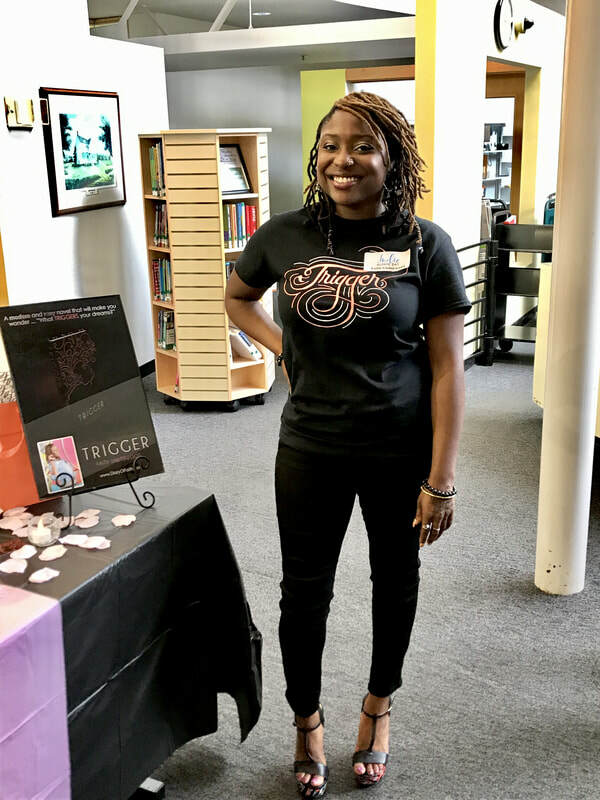 Her debut novel, TRIGGER, was released Summer 2017, and was said to be, “a page turning climax that will leave you with a dropped jaw,” by the African Americans on the Move Book Club Reviewer, S. Boykins. Faith and TRIGGER were also part of the “Unstoppable Series” for Push Apparel Company. Faith is an avid crystal collector, meditator, and sci-fi entertainment lover who enjoys reading feel-good news stories, gardening, and adding new stamps to her passport. When Faith isn’t teaching or writing her next novel, RECOIL, she is busy planning the development of her publishing company. Faith has BA in Biology from Georgia Southern University, a BA in Chemistry from Wesleyan College, and a M.A.T. in Secondary Science Education from Georgia College & State University. She is a member of the Georgia Writer’s Association.